Offers: Junior & Concessionary discounts plus Day & Afternoon tee discounts. 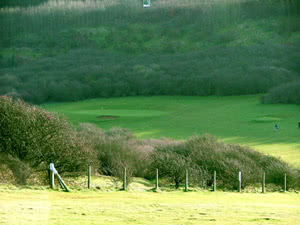 Waterhall Golf Course is a hilly 18 hole downland course. Located in a deep valley in the South Downs, next to Devil's Dyke just north of Brighton and Hove, the course has some magnificent scenic areas. Its chalk base means that it drains quickly and is almost never closed because of weather conditions. Its Pro shop, cafeteria and bar services are open to everyone all year except Christmas Day. The Club house is run by the Resident Golf Club and provides a full seven day a week bar and catering service. Green fee players and golf societies are most welcome and will enjoy the friendly atmosphere.